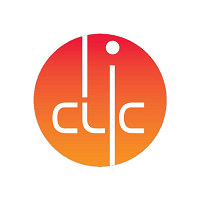 The CLIC workshop 2017 covers Accelerator as well as the Detector and Physics studies, with their present activities and programme for the coming years. For the Accelerator studies, the workshop spans over 5 days: 6th - 10th of March. For CLICdp, the workshop is scheduled from Tuesday afternoon 7th to lunchtime on Friday 10th. 1- An open plenary session on Wednesday afternoon March 8th, giving an overview of the CLIC project (accelerator, physics/detector), placed in the context of LHC results. This session also addresses the use of CLIC-related developments in other applications. 2- A common plenary accelerator/detector&physics session on Friday morning March 10th. 3- The workshop dinner on Wednesday evening. 1- Topical sessions on Tuesday afternoon, Wednesday morning and all of Thursday. 2- The CLICdp Institute Board meeting will take place over lunch on Thursday. 3- A CLICdp dinner is organised for Thursday evening. (Note that an FCAL meeting is scheduled at the beginning of the week, prior to the CLICdp sessions). We are looking for the widest possible participation and encourage in particular the involvement of young colleagues.